The CBI drama is more confusing than the twists in the current plot of Zee’s Kumkum Bhagya. If it wasn’t a matter of grave national importance, it would be a scene straight out of your least favourite soap opera: ‘CBI v/s CBI’, as most news channels have dubbed it. 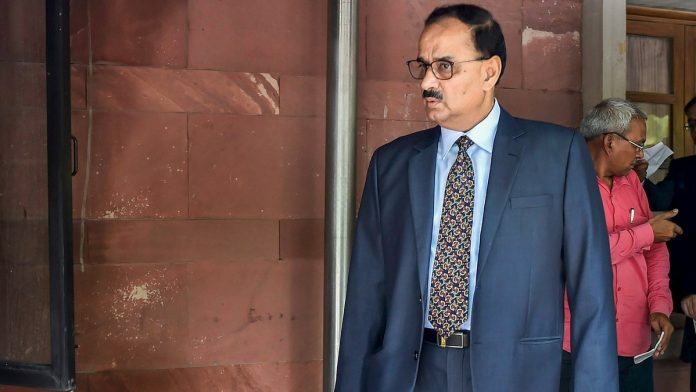 It stars the two top officers of India’s premier investigating agency at each other throats with claims and counter-accusations, rather like Nimki and her mother-in-law (Nimki Mukhiya, Star Bharat). ‘The big war between the CBI’ maybe grammatically inelegant, but it is an apt description of the Alok-Asthana showdown (Republic). Did the Centre ‘sack’ the CBI chief ‘in a midnight coup’ like NDTV 24×7 said, or were ‘No.1 and No.2 sent on leave’ as ABP put it rather tamely? Either way, Prashant Bhushan was immediately knocking on the Supreme Court’s door challenging the move. Wednesday morning news channels rushed in with their versions of the ‘Inside story of CBI shake up’ (Times Now) with some help from former CBI chiefs to make sense of this extraordinary and unseemly battle of attrition. Do let us know when and if you understand the explanations: so far the drama is more confusing than the twists in the current plot of Kumkum Bhagya (Zee), now into its 1,214 episode. The only story more baffling than the CBI’s internecine feud is the Jamal Khashoggi death in Istanbul that has riveted the attention of BBC World, CNN International, Al Jazeera, French, German and Australian news channels. The video of his ‘double’, playing on all of them, shows him laughing after the ‘murder’. Ghoulish, to say the least. As news has become entertainment and entertainment has become news, many Hindi news channels that had resisted the temptation of tamasha television have succumbed. So much so, that if News 18 India anchor Amish Devgn isn’t careful, he may well see the inside of a hospital soon. On Tuesday, so incensed was he with Pakistani Mona Alam – ‘why do you have love for Hafiz Saeed?… What has happened to you?’ –the veins in his neck fairly bulged in outrage. Similar health warnings for anchors and participants on other channels: on Tuesday, one Babar Qadri, a lawyer, screamed ‘you are a murderer!’ on India News; Prime News went to Ayodhya after Uttar Pradesh Chief Minister Yogi Adityanath and RSS chief Mohan Bhagwat called for a ‘mandir wahin’ for an all-out pow-wow,while Zee News pitted ‘Bhai v/s Bhai’ but didn’t ask what was at stake in the sibling rivalry because we didn’t quite catch any of that on account of the noise. It was all pretty ugly. So, it was with something akin to relief that you switched to Mh1 and listened to a calming Shiv aarti. Why would a channel listed as a news channel play an aarti, that too every evening, and pop songs during the day? Now, that would make an unusual topic for a primetime debate. The tragic death of mainly civilians after a train ‘mows’ them down (CNN News 18) last Friday interrupted the prime time debates with extensive coverage from Jodha Phatak. There were interviews with bystanders or distraught family members who typically blamed the train driver for ‘negligence’ (CNN News 18); there were repeated shots of Ravana burning in the distance before the train whizzed past in flash of light. Quite the most disturbing video first appeared on ABP after 11 pm: it showed the train actually flattening hapless victims. Surely, the accident was sufficiently horrifying without the video evidence? In other news, Koffee with Karan returned for sip-sip, wink-wink gossip from Bollywood (Star World). Karan Johar, resplendent in a floral waistcoat and jacket, enjoyed himself hugely with guests Deepika Padukone and Alia Bhatt. Johar might as well have invited Ranbir Kapoor since much of the conversation – and what was left unsaid – centred on him. The ladies were comfortable with each other, giggled, laughed and even sang together. However, 90 minutes of just this and that, Ranbir, Ranveer, marriage, men and macho stars is about 45 minutes too long. Alia saved it, ‘burping on national television’, as an astonished Johar remarked. There’s a new RadhaKrishn too, on Star. Beautiful, lavish sets and a dreamy-eyed Krishna gazing at a feisty, independent-minded Radha. Looks interesting and contemporary for a mythological. Have a look. The author is vice dean, Jindal School of Journalism and Communication.